Sarafina is a township near Potchefstroom in the municipality Tlokwe. People often live in houses made of zink, in which it gets very hot during the summer. Sarafina Park is a spacious area in which some old playground equipment, as well as the remains of picknick tables, are installed. 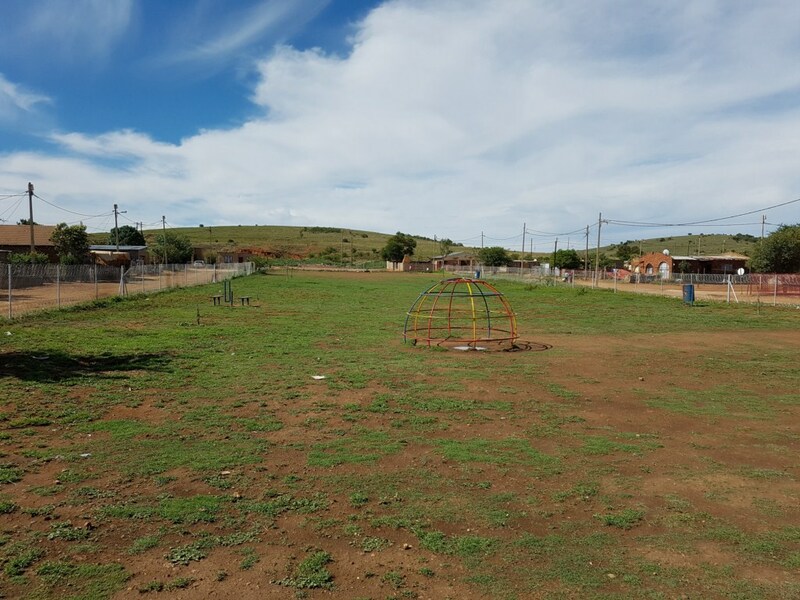 Gelukskinders aims to build a new playground within the existing fencing of Sarafina Park. This is to be completed before the end of 2016, as it would be the ultimate Christmas present to the children of Sarafina. The playground equipment will be installed along the sides of the area, allowing sufficient space in the mddle to play soccer. Also, 2 socker goals will be installed. 22 January 2017: Amira Park Sarafina delivered! 16 December 2016: Contract signed: building of Amira Park Sarafina to start!